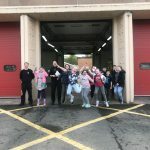 Time Out provided regular friendship and support groups in Lanarkshire for young people who are affected by their siblings’ disability and who often take on a caring role. Groups lasted two hours and took place in the local community for 8-15 year olds giving them time for themselves. Ayrshire Cancer Support delivered holistic carer support groups for anyone living in Ayrshire over the age of 16 years of age who is caring for someone who has been affected by a cancer diagnosis. We provided weekly evening classes in woodwind music tuition and asthma management for Young Carers with Asthma living in Renfrewshire. We offered opportunities for Young Carers with Asthma to manage their Asthma, pursue self development opportunities and overcome the isolation, whilst providing respite from their caring situation. 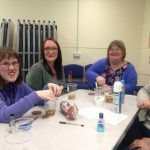 We provided a social and active learning programme for young adults in Fife who have autism, learning disabilities and additional support needs. We provided 1:1 and group befriending for 60 adults with learning disabilities living in the Scottish Borders. This encouraged friendships, improved wellbeing, confidence & social skills and provide respite for their family carers. This service was delivered entirely by volunteers. Our group provided weekly dance sessions followed by a social gathering to reminiscence about all things dancing. 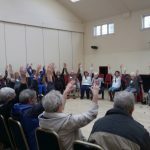 Participants enjoy a professionally facilitated seated dance session (which includes the use of musical instruments and a sing-a-long), cuppa and good conversations with new friends. 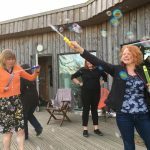 The Befriending Project offered carers living in Edinburgh who are caring for someone on an unpaid basis, the opportunity to get a quality break from their caring role on a friendly and informal basis.